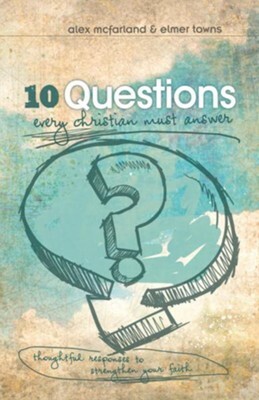 10 Questions Every Christian Must Answer provides responses to the toughest conversations regarding one's inward faith as well as the outward expression of it and is relevant to new believers and longtime Christ followers alike. Led by respected scholars Elmer Towns and Alex McFarland, readers can be sure this content is backed by sharp minds, deep thinking, and the unchanging Word of God. I'm the author/artist and I want to review 10 Questions Every Christian Must Answer - eBook.